I never thought I would see Reno as a sight for sore eyes, not until I drove clear across Nevada from the little town of Wells (my co-driver had been driving beforehand) and as many of you road-trippers know, miles and miles of desert gets to you after awhile. But before my ten companions and I embarked, I made sure to do some minor research as to whether Reno had any decent coffee. Fortunately, someone gave a recommendation on Coffeegeek for Bibo Coffee Company, to which I made a detailed note in my planner as to how to get there with ease (I was driving with a number of people, so "hunting" had to be minimum, or there would have been mutiny). We arrived in Reno around lunch, so we first located Bibo (while we were in the car), then parked the car near the "strip" of Reno, grabbed a bite, and walked around the town (specifically the Truckee River Walk, which I found all too relaxing and scenic). Then after we had enjoyed a bit of down time, we decided to ready ourselves to head out. Of course before we hopped back on the road, we hit Bibo. Located in the middle of what seemed the Reno suburbs we found the shop. We found convenient parking across the street near the houses and half of us headed in to check it out. The shop's decor was grand, full of bright yellows and whites, with a really sharp table layout and complete with a living room-esque room in the back. The coffee came from two purveyors: most of their coffees come from a Lake Tahoe operation called Coffee Connection but their espresso and house blend come straight from Josuma Coffee, an Indian coffee importer/roaster that I have actually had direct dealings with in the past (specifically, a large-scale order of Devon Catimore). The drip coffee at Bibo tasted decent, a pretty fresh cup that held a nice smoothness. The espresso, Malabar Gold, also had a very lovely full flavor to it, altogether refreshing. The tea, in jars along the back wall if I remember correctly, was all free leaf and appeared to have quality, though I didn't get a chance to sample it. For a shot-in-the-dark coffee excursion, Bibo was a pleasant experience. 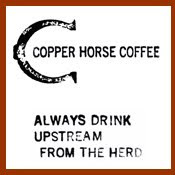 I wish I actually had time to enjoy my java in-house, but as soon as I had ordered and finished a conversation with a fine math student of U of Nevada-Reno, my compadres and I were out the door on our way west. If you're ever in Reno or passing through, take the time to seek out Bibo. Make sure you get directions though; you never would "run" into it. Great description. I currently live in Reno and I feel Bibo is the best place to go for coffee. Whoever recommended Bibo to you should be called a hero--there are lots of bad coffee shops lurking in Reno. Beware. It is the best in Reno. ...and it's a tranquil place for students as well. Most Reno coffeeshops become half-nightclubs after sunset, so it's nice to have a chill place to study. I'm sitting at the Liberty St Bibo Coffee Co location right now. I just passed it in my car, cruising the streets of Reno looking for a place to wait for my Burning Man buddies to roll into town. Apparently I have the best cafe serendipity of all time, because I just wound up with the most perfect Americano I have ever tried. And I have lived in the Bay Area for 3 years and had Blue Bottle Coffee and all that good stuff. 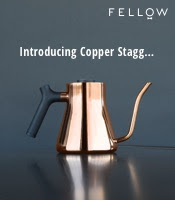 This is simply the most well-roasted, well-pulled, and well-proportioned Americano I have ever had. the wifi is pretty good too. can't say much for the ambience here, kinda bank-hotel-corporate, but what can you do... that's exactly what it is. I am making conversation with the nice barista boys who keep me supplied with excellent beverages (try the iced thai cafe). Not having a ticket it my hand makes driving up to Burning Man on my own a pointless operation, so here I wait, but wait happily. 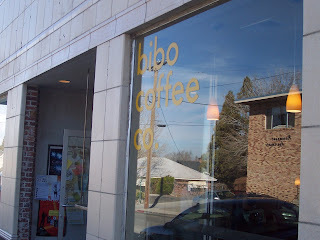 Love bibo :) I live in reno now (east coast girl originally) and it's my daily stop! It's also a funny phenom for reno locals... since this isn't the biggest town, most savvy java fans (the types that hate starbucks) head to bibo in the AM. It ends up being the vortex of reno! you always run into people you know, and it's always nice to see smiling friends on your way to work.